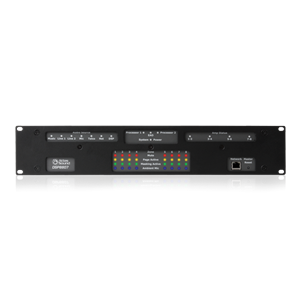 The ALM-1 is a Remote, Ambient Sensing Microphone, designed to work in conjunction with the DSP8807 Multi-Zone Speech Privacy, BGM and Paging Amplifier. The ALM-1 acts both as a standard microphone in the traditional sense, transmitting Line Level Audio to a standard receiver, and also as an ambient level sensor, capturing the level of the sound arriving at the microphone input and rendering that to a constantly varying value. This value is then transmitted using a 20mA current loop to the DSP8807 unit where it is sampled and accumulated to provide a continuously computed average. The ALM-1 is powered from the line connecting to the DSP8807, which is terminated in industry standard RJ45 connectors. 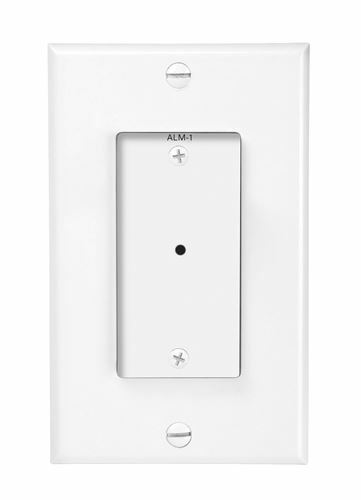 The form factor fits into an industry standard “Decora” wall mount box To avoid damage, the Ambient Sensing connection should only be used in conjunction with the Atlas DSP8807 unit.